Code Technology’s IAM Consulting Services pages describe our full range of services for IAM strategy development, program definition and project delivery. 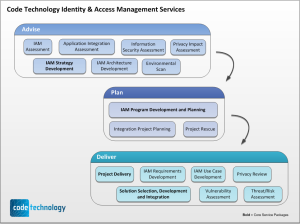 We have experience with leading identity management projects from conception to ‘go live’. Contact us today for more information.